Well, some consulting with another foreigner here made me realize that by only posting about noodles and lamb, I had not done local food justice. So, I'll be continuing my local food series with another few posts. 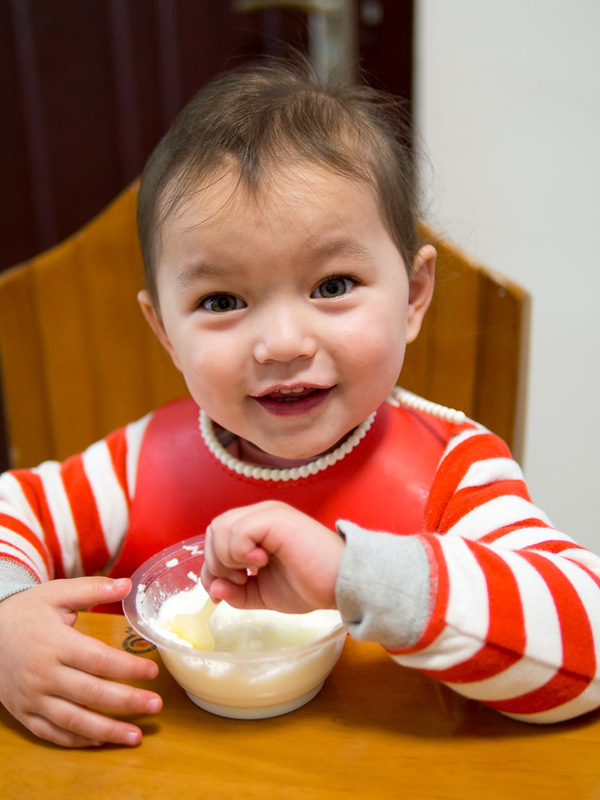 Today is about yogurt! 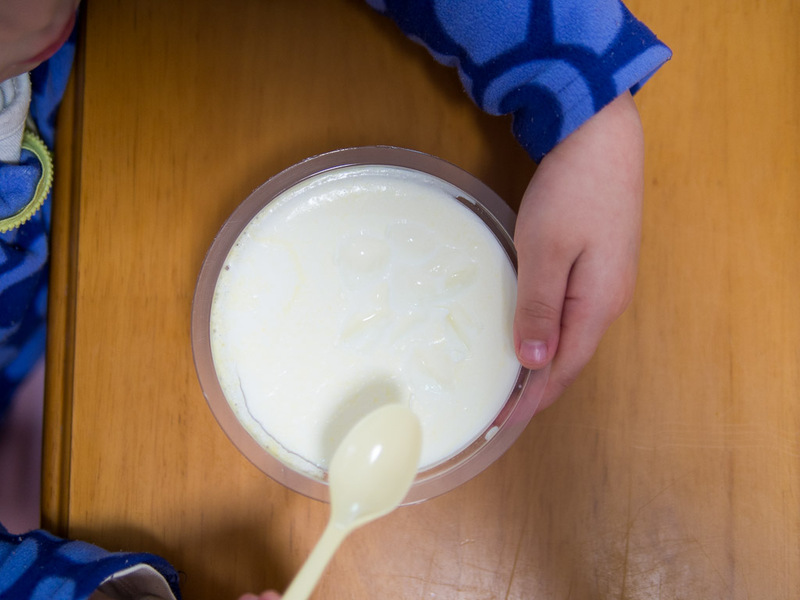 Most yogurt in this country is drunk with a straw, not eaten with a spoon, and is quite sweet. But out here, yogurt is it's whole own thing. In fact, even though I had spent upwards of six months in this country before moving here last summer, I had never even seen any yogurt but the straw one just mentioned. 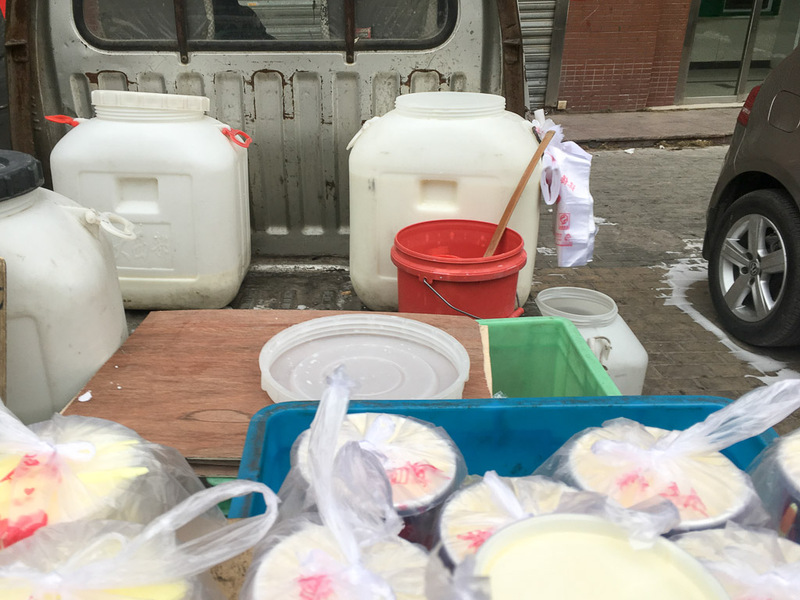 Out here, though, in the morning you can find a person on nearly every street corner sitting beside a giant tub of fresh milk and a few crates of yogurt. Yep, fresh milk. Non-pasteurized, non-homogenized milk. It tastes like cows. That red tub is where he ladles the milk out of. See the white vats behind it? Those refill the red tub. Most foreigners advise against buying the milk, but the locals think it's the most amazing and healthy thing in the world. I've tried it a few times after a strong recommendation from a friend and I have to say that although H and the girls find it a little too cow-y, I reeeealllly like it. It's a little inconvenient though since they measure it out into a plastic grocery bag and send it home with you like that. So, we mostly drink our imported UHT milk bought online but every now and then I'll go for a bagful of the fresh stuff and drink the whole kilo myself warm after boiling it. Mmmmm so comforting. 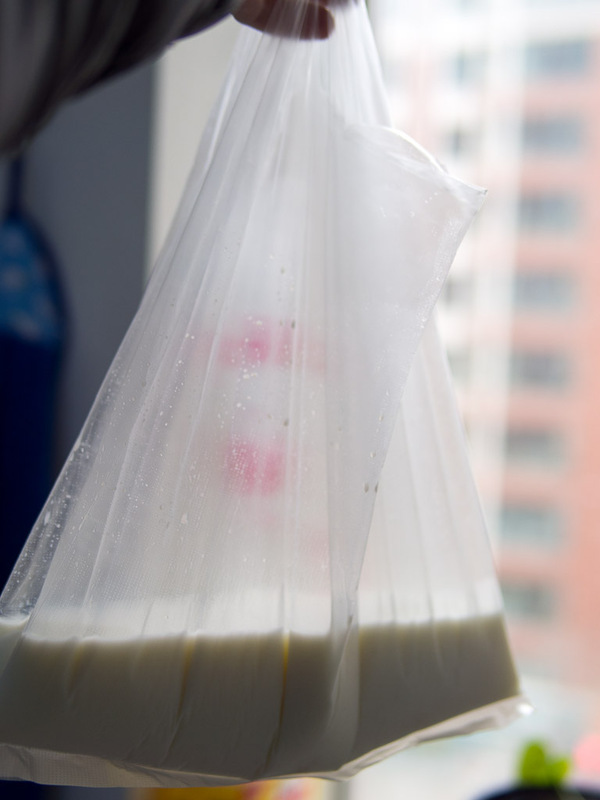 My milk in a bag after getting back home. Only half a kilo. But the really good thing is the yogurt. For less than 50 cents (USD) I can get a little bitty tub of yogurt that's so thick it borders on custard. It's sweet, but not as sweet as the drinkable stuff ubiquitous in the rest of the country. My favorite guy to buy from comes out in the evenings and sells from the bed of his pick-up truck (a step up from sitting on the curb, I guess). He's really friendly and wears these little glasses that make him look so studious, I would've mistaken him for a librarian if we had first seen him in another context. We buy a couple little bowls of yogurt from him almost every day on the way home from school as long as M isn't having a meltdown and then the kids eat it for breakfast the next day. Look how thick it is! If you can see it, she actually dug out little spoonfuls in the shape of a flower. A famous yogurt shop a couple miles away sells yogurt for twice the price that's even better. It's just sour enough and the consistency is really smooth. It's definitely worth a try if you're an adventurous eater! Well, this has nothing to do with where we live. H got the new Nintendo Switch a few weeks ago, after a roller-coaster ride of information from the customs office in the capital. H and I just celebrated our sixth anniversary (six already?) by leaving the kids with some good friends here and going out to dinner just the two of us. It was so fancy!